Treat your recovery codes with the same level of attention as you would your password! They should not be shared or distributed. We recommend saving them with a password manager such as LastPass, 1Password, or Keeper. Under Two-Factor Authentication, click Save your recovery codes. Save your recovery codes in a safe place. Your recovery codes can help you get back into your account if you lose access. 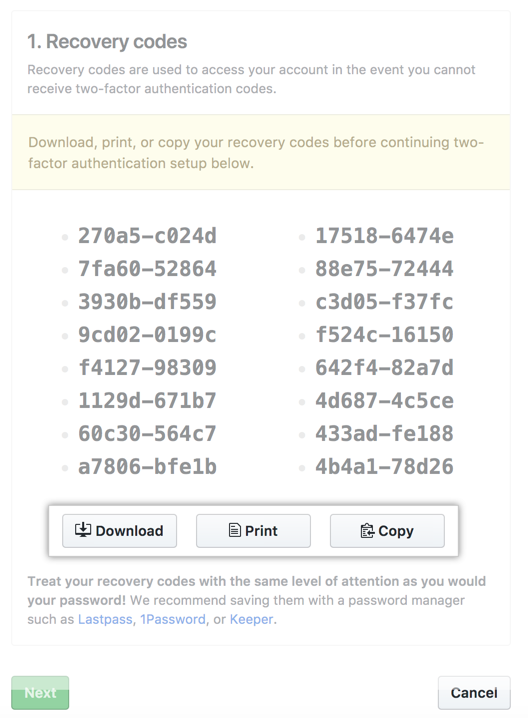 If you generate new recovery codes or disable and re-enable 2FA, the recovery codes displayed on the "Save your two-factor recovery codes" page are automatically updated. To save your recovery codes on your device, click Download. To save a hard copy of your recovery codes, click Print. 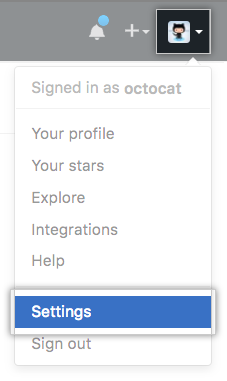 To copy your recovery codes for storage in a password manager, click Copy. Once you use a recovery code to regain access to your account, it cannot be reused. If you've used all 16 recovery codes, click Generate new recovery codes to recreate another batch of recovery codes. "Recovering your account if you lose your two-factor authentication credentials"